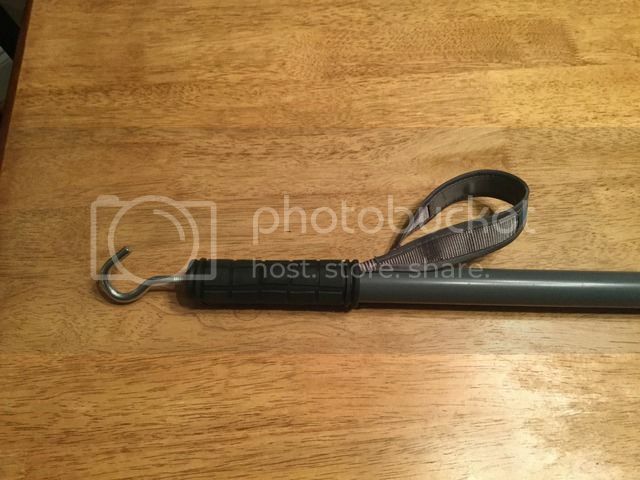 My old Kelty telescoping hiking staff finally crapped out on me, the bottom section would not lock. So I made a new one out of sched 80 pvc. Put a cane/crutch cap on one end, hammered in a wooden dowel, drilled out a hole for a threaded rod “coupler”, then popped on a moutain bike grip and done. I can screw on the hook for fly/lure retreival from stream bed or tree branches. It will come on/off without much trouble but I may leave on most of time to start with and see if hook gets in way. I like the hook idea. I may try to rig up something for the two piece monopod I am using. It has a camera stud so should be pretty easy. That hook will be worth it’s weight in gold. I’ve got a similar setup for a pushpole that I built for my boat. 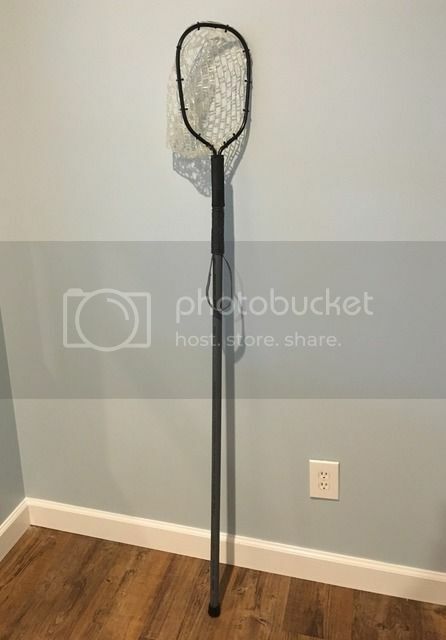 It’s a wooden broom handle with a rubber bike grip and wrist loop around the top with a hook just like that screwed in. I built it for grabbing jug lines that got pulled under overhanging trees but I can’t tell you how many lures it’s helped me unsnag since then. It’s also useful for breaking off dead branches that are blocking casts while keeping a distance. kmmcracy, home depot has a all thread connector "nut" 1 - 1.5" long female thread each end. I don't know if they are available down to a quarter inch or not. Want to hear God laugh? Tell Him your plans. Most likely the net on top is not a good idea, but playing with the possibilities. 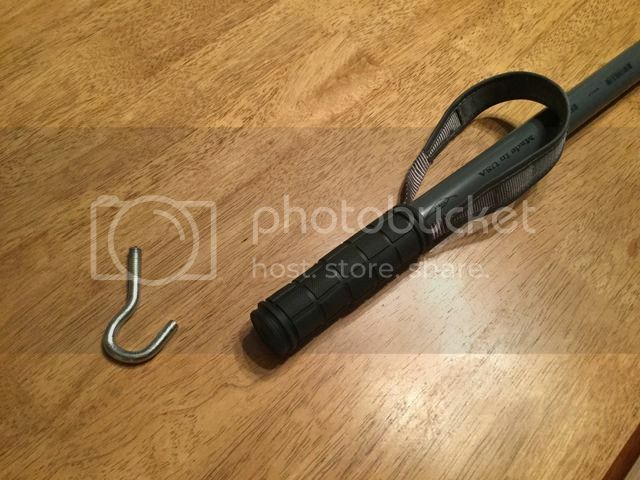 I do think the hook (or the ability to have a hook when needed) is going to prove useful. Last edited by creeker; 02-24-19, 07:41 AM.